You are here: Home / Education / What is Sustainable Beekeeping? Availability of useful information that can be taken to the apiary and used in bee management. These eight factors need to be studied, their implications understood, along with the tools identified that are needed to take the necessary steps to guarantee – as far as reasonably possible, the sustainability of bee management. Geneticists have said our honey bee gene pool is too “narrow” suggesting that we don’t have the diversity needed to prevent colony impacts. A geneticist told me years ago that this has been occurring over many years and they can’t produce the size and number of colonies as in the past. Beekeepers have reported annual queen losses of 20 to 75%, making bee management very costly – if not unsustainable. In fact many commercial beekeepers have gone out of business in the last 20 years. Breeder raised young queens have been reported to suffer 30 to 50% losses with some even higher within 30 to 90 days post queen introduction. For years I have observed queen retinues from 0 to 15 worker bees. I have seen two story deep queen banks of 60 or more single queen cages, and those containing attendants, with no workers on the cages, and with bees clustering over some cages and seemingly ignoring other queens. Newly raised queens have been observed with 0 to 10 workers in the retinue, with corresponding “colony noise” – wing fanning at 65 to 85 decibels (so-called queenless roar). The fewer bees in the retinue the higher the decibels, the looser the cluster at 55 – 60 F., the higher colony loss in the fall and winter. New queens with and without workers in cages have been placed at the back corner of hives, and I have seen the colony leaving the hive and their mother, to cluster onto this new queen cage like a swarm. Obviously the new queen had more attractive pheromones than their own mother. These issues are the foundation for sustainable beekeeping yet they are seldom discussed. The effect and survival of bee pests: Some beekeepers have no idea what the pest levels are in their colonies at different times of the year so they have no idea whether the pests have passed the economic and survival threshold of the colonies. It takes time to sample for pests, but in some cases the cost of treatment products could be saved if this were done. Colony survival and numerical pest loads are seldom discussed. Are we achieving colony genetics that can survive various pest loads without treatment? We don’t know because the data is not available. Beekeepers discuss colony survival based on “the bees look good” or “my colonies look fantastic!” But they have no information of pest loads in their colonies. 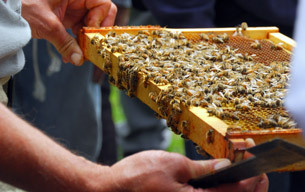 If their bees are fantastic why are they losing 30 to 50% of their colonies annually? Comb residues of agricultural chemicals and bee pest control products: You rarely hear of someone having their comb tested for residues. A few cull old comb on a regular basis, but observation suggests that this may be one area where the beekeeper may still be too conservative. Maybe the income stream isn’t available for greater comb replacement. Age of comb in the brood nest: This is related to the above. The bees move up into newer honeycombs and in the fall, when the supers are removed, the queens are forced to occupy old combs and they stop laying. The beekeepers complain but make no attempt to understand this behavior. 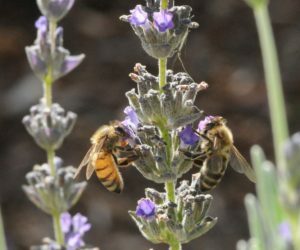 How many colonies can one beekeeper productively manage in the present climate of high costs and four major bee pests? Beekeepers usually aim their efforts ahead while leaving some highly desirable activities unaccomplished in order to get through all the colonies on some sort of timely basis. This results in higher colony losses and increased costs to replace them, shifting these costs to the producing colonies thus increasing the per colony cost of operation. All expenses should be calculated on the surviving production colonies, not the highest colony count for the year. The changing economic climate affects how beekeepers make management decisions. This includes operating cost analysis compared with income, increasing upkeep, costs of transportation and bee management, salaries, and desirable retirement income for manager/owners. Some hope to retire by selling their bee outfit, but I have only heard of one successful case in 25 years, because equipment age undercuts the value. And expertise of the buyer often leaves a lot to be desired, resulting in the buyer walking away from the purchase agreement and abandoning the equipment. The knowledge level of bee managers is often less than desirable because they are too busy doing to learn all they need to know for a sustainable operation. A bee manager needs to be able to observe bee behaviors, interpret them, know how to facilitate the needs of their colonies, and be able to do so in a sustainable economic and timely fashion. Good information is provided at apicultural conferences, but can or will beekeepers be able to put it into practice in their apiaries? How will you measure the sustainability of your bee management operation – noncommercial or commercial? Without measurements AND GOOD RECORDS, you have no reliable data upon which to make sustainable decisions. Hi! I have heard that honeybees can sometimes displace native pollinators. If this is true, honeybees threaten to disrupt the local ecological processes that occur in the area and actually lower the overall resilience of the resident pollinator population. What do you know about this, and should “sustainable beekeeping” also keep in mind these native pollinators? Thanks!